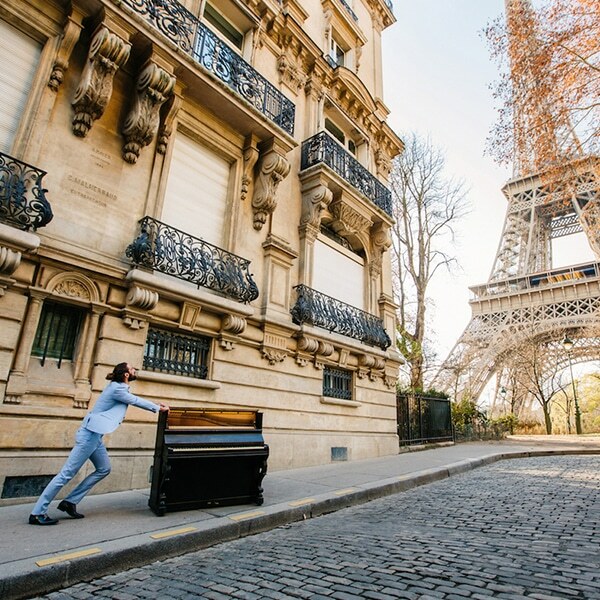 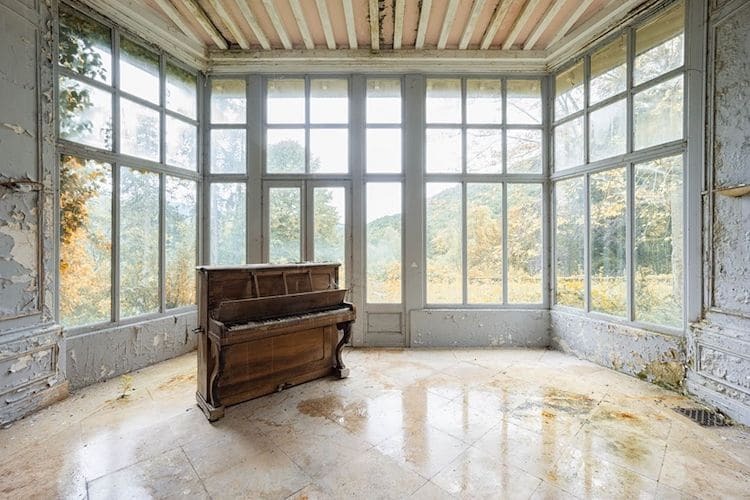 In his powerful series, Requiem for Pianos, French artist Romain Thiery beautifully explores the lonely lives of forgotten pianos. 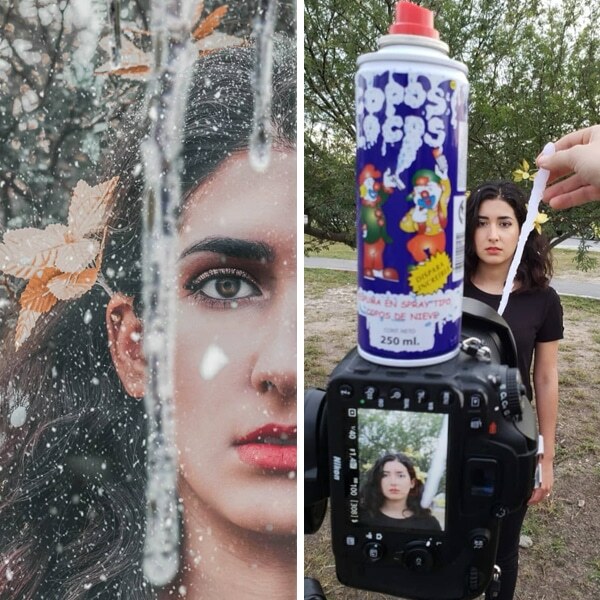 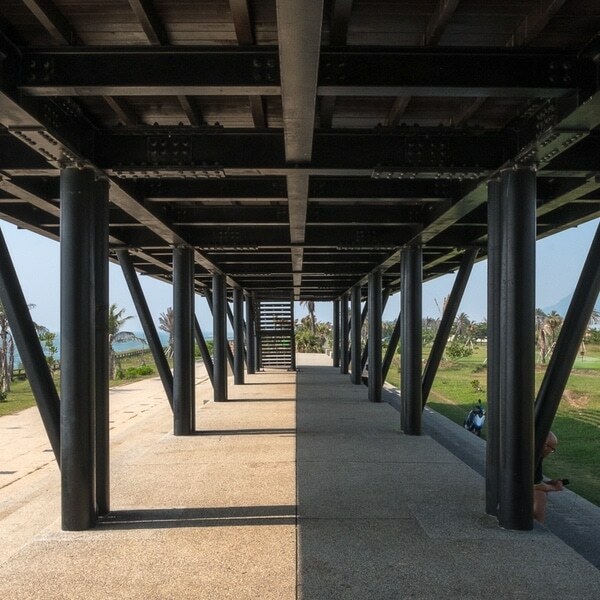 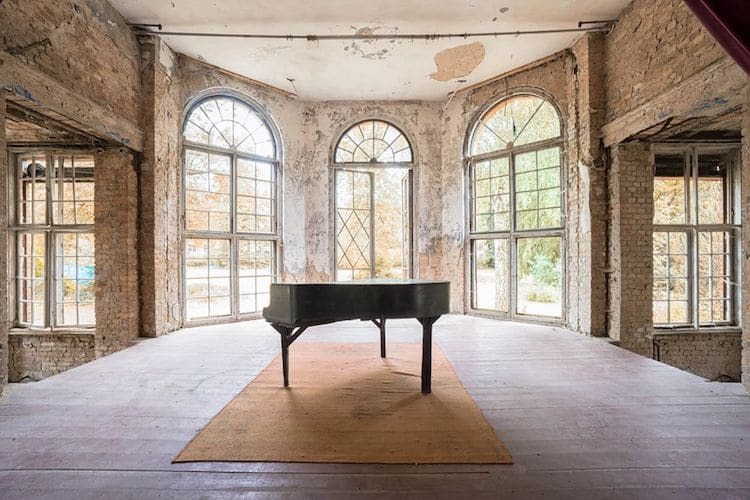 Pairing two of Theiry’s artistic passions—photography and piano-playing—this touching project presents the instruments through a personal and poignant lens. 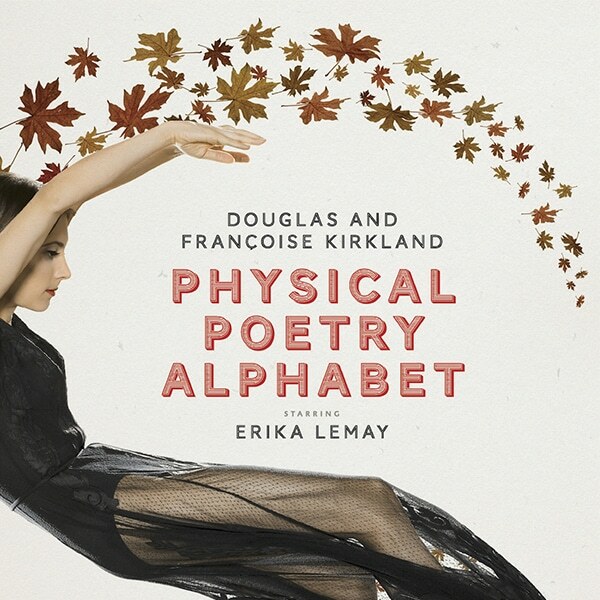 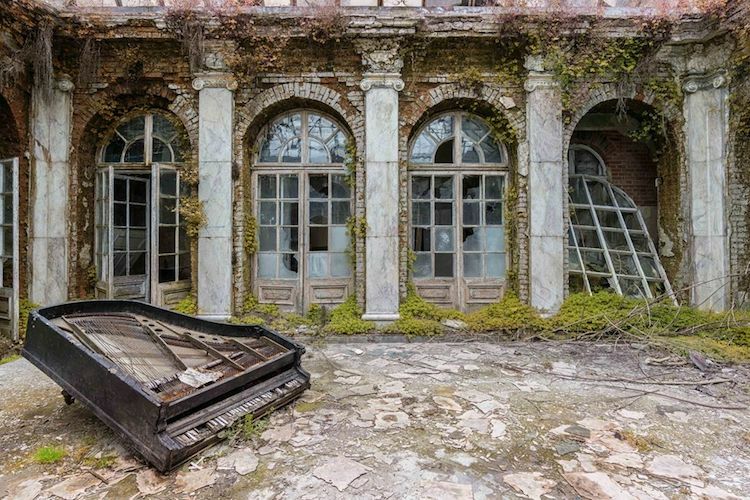 Requiem for Pianos is set in several abandoned buildings across Europe. 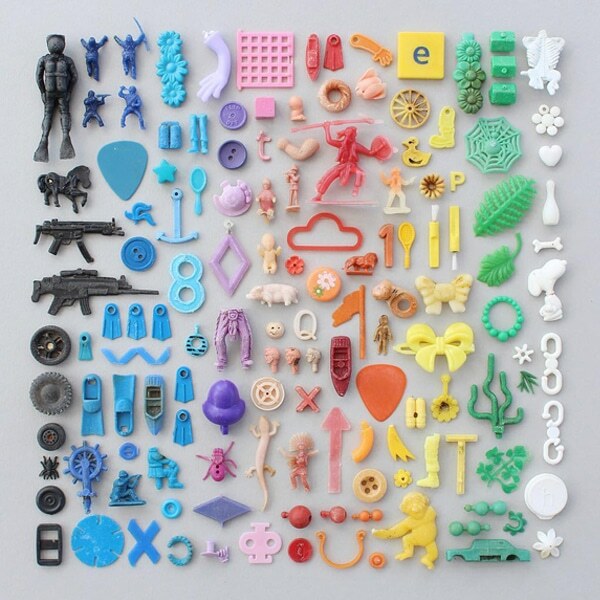 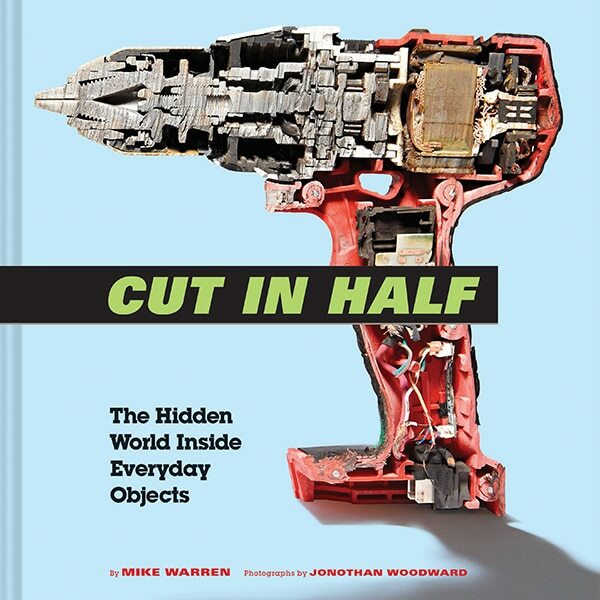 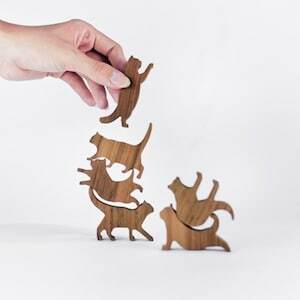 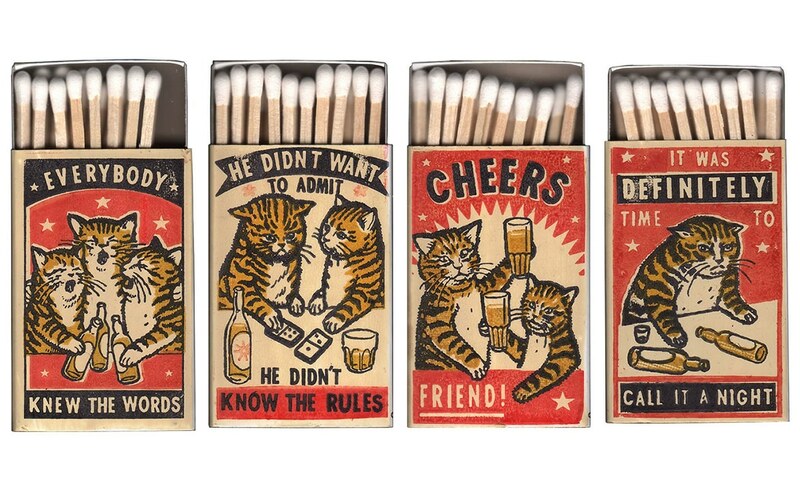 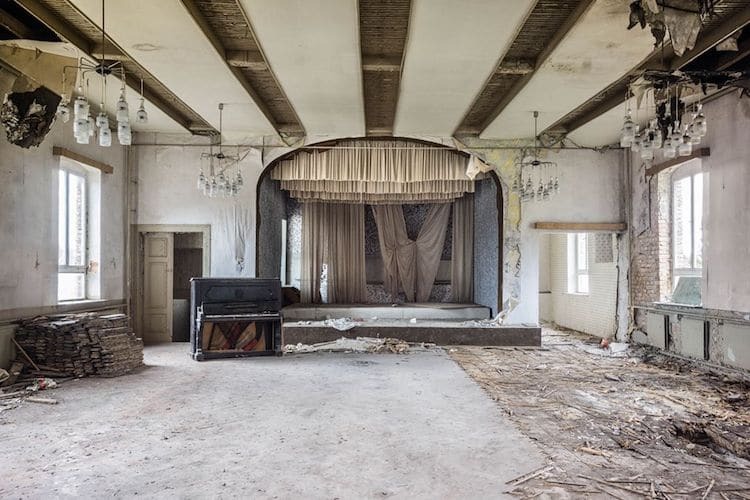 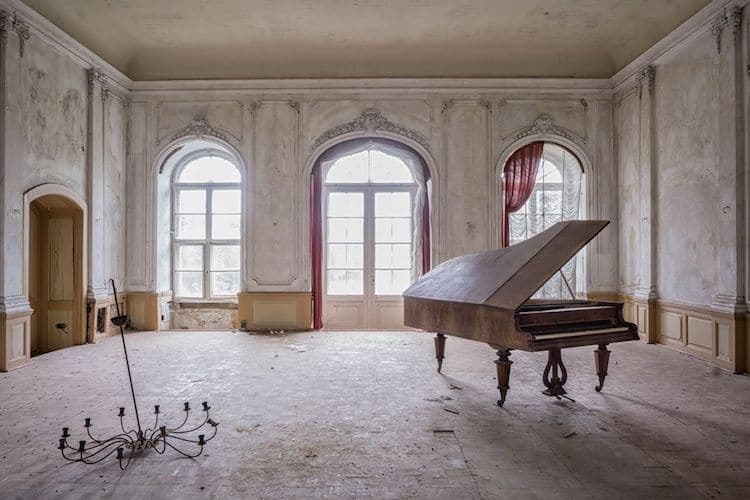 Once beautiful castles and stately homes, these sites have since been deserted, leaving behind nothing but crumbling walls, cracked windows, and, as Thiery has discovered, hoards of discarded pianos. 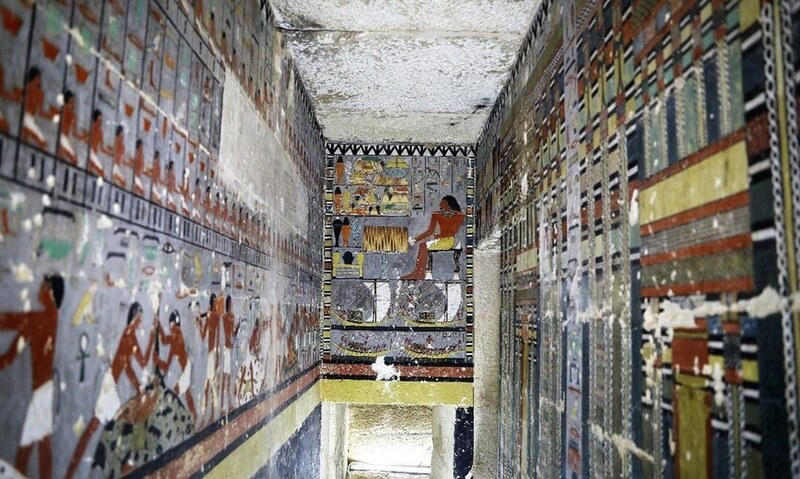 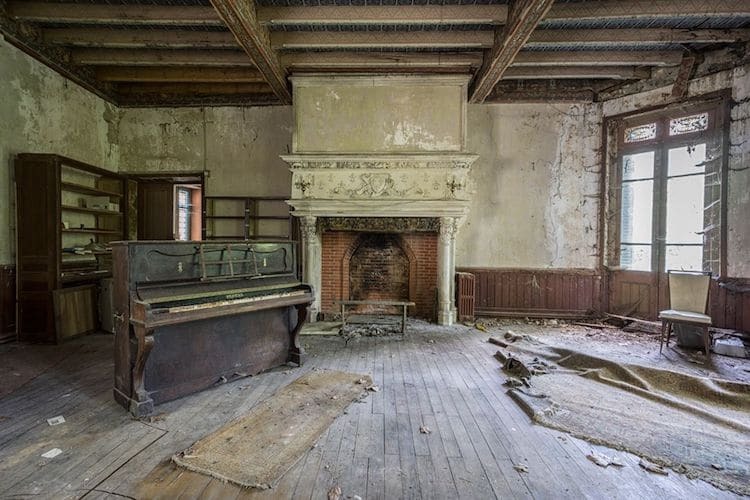 “Sometimes with some of its keys missing, sometimes completely dismantled but always sitting imposingly,” each old piano rests quietly among the ruins, waiting patiently to be found. 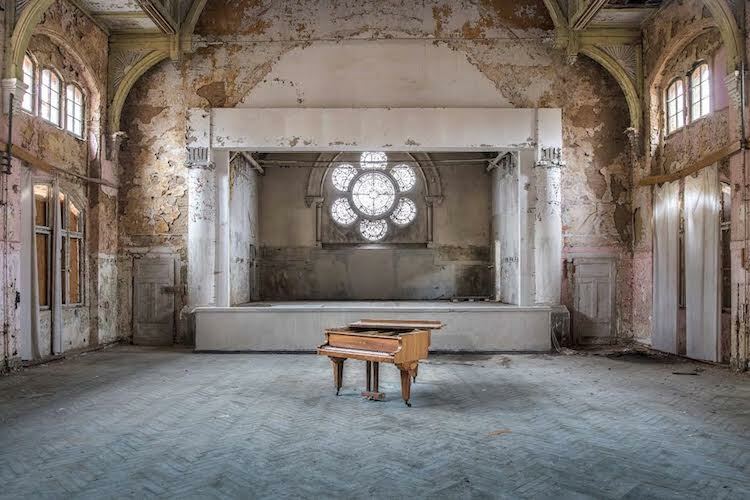 So much more than a musical instrument, each piano photographed by Thiery offers viewers an intimate glimpse into a little-known and long-since-forgotten history. 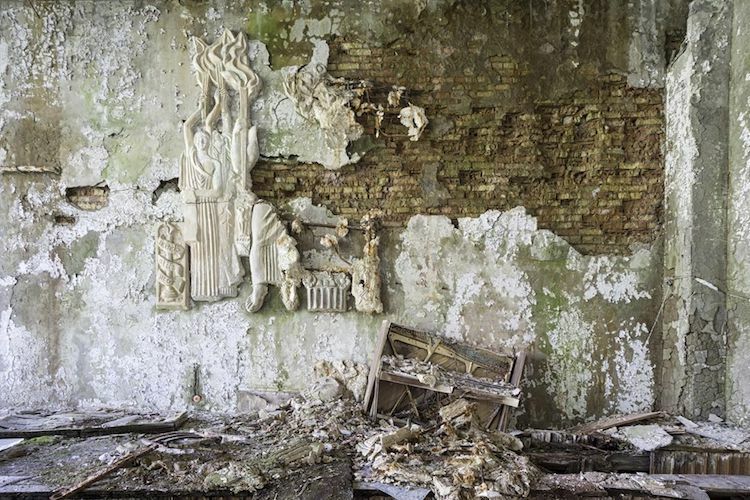 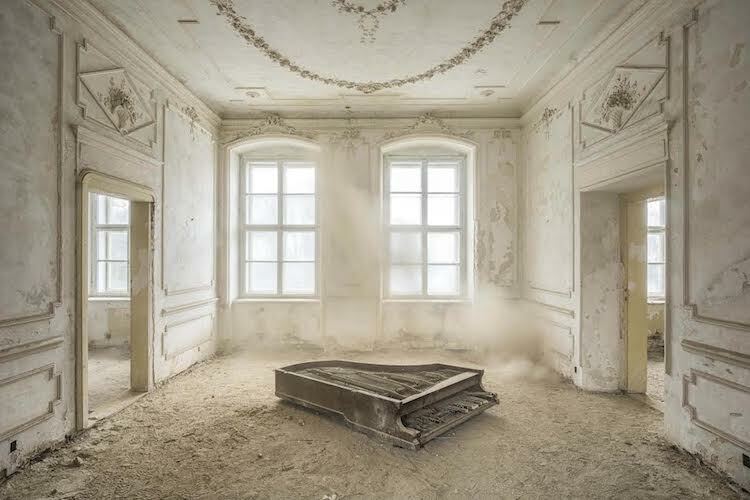 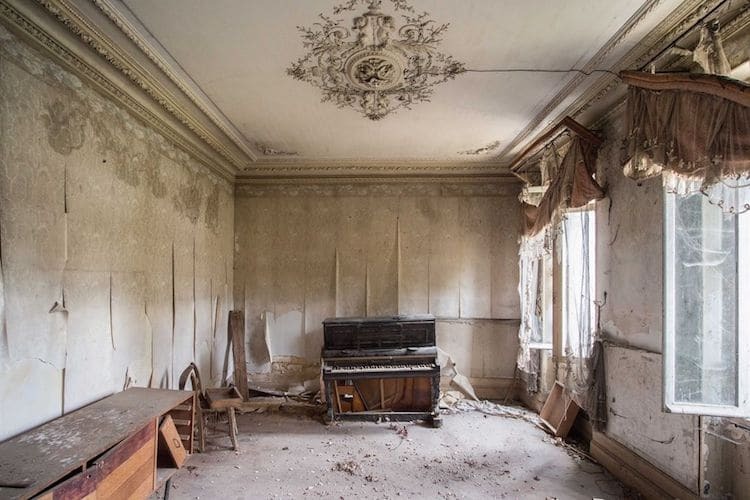 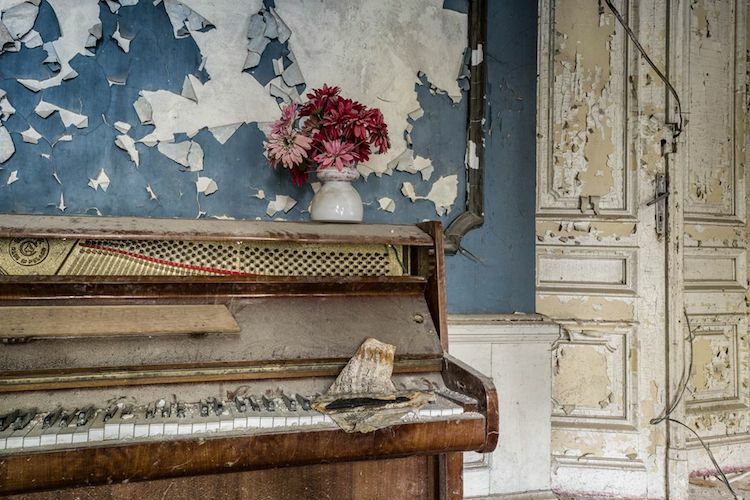 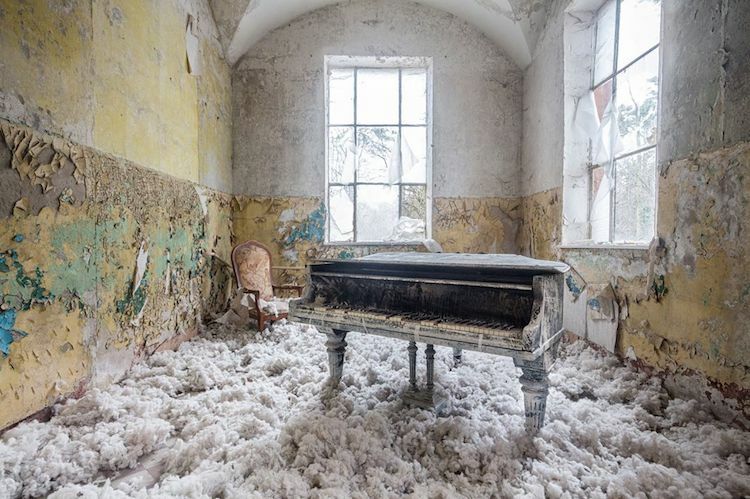 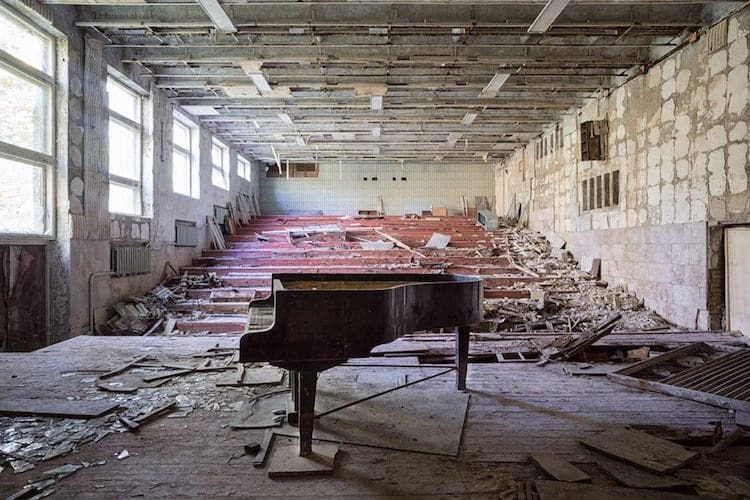 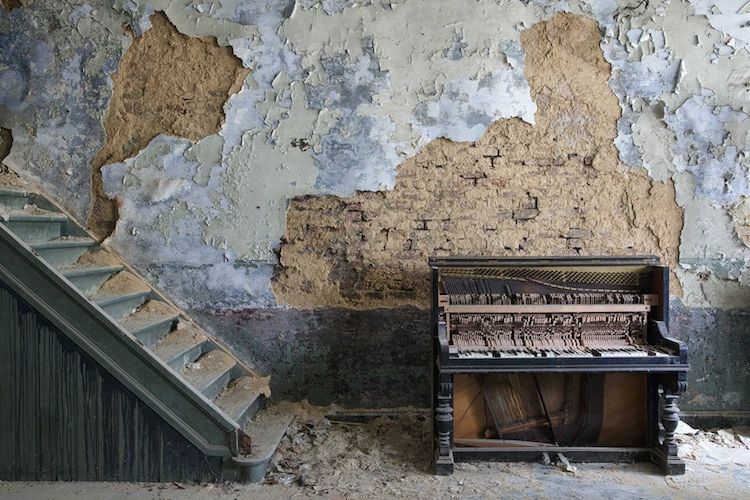 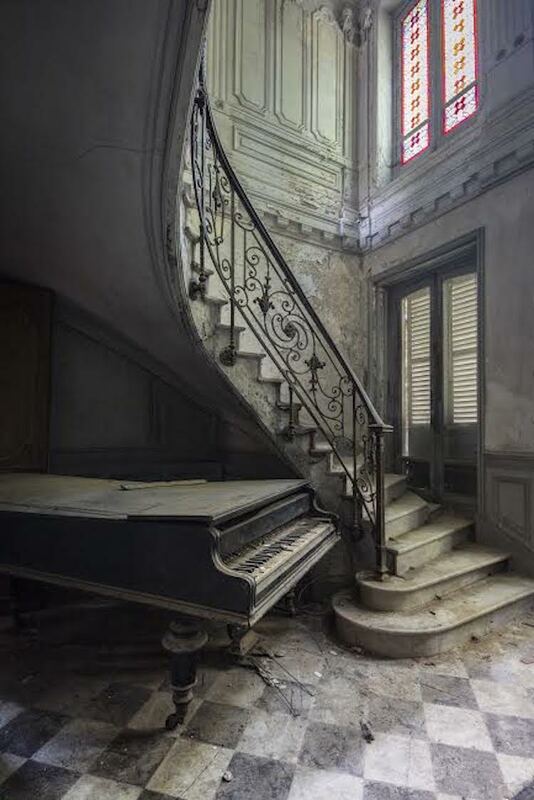 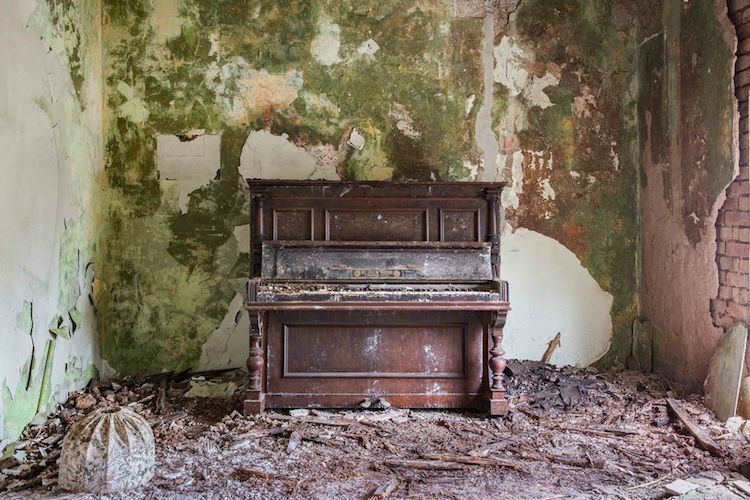 Photographer and pianist Romain Thiery captures powerful shots of old pianos in abandoned buildings. 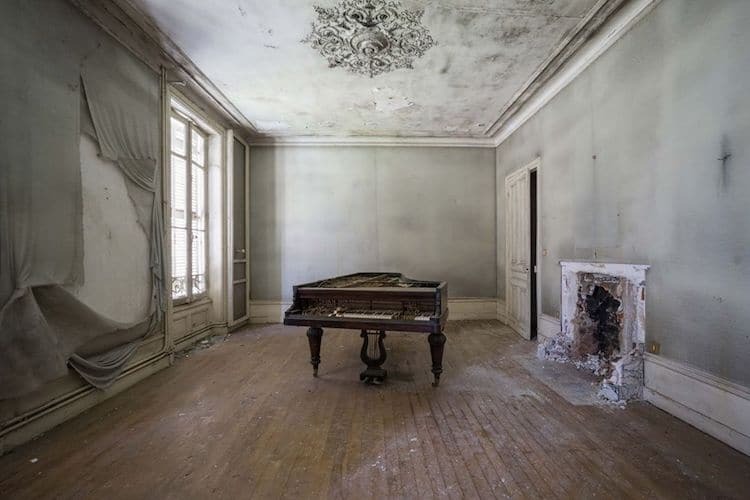 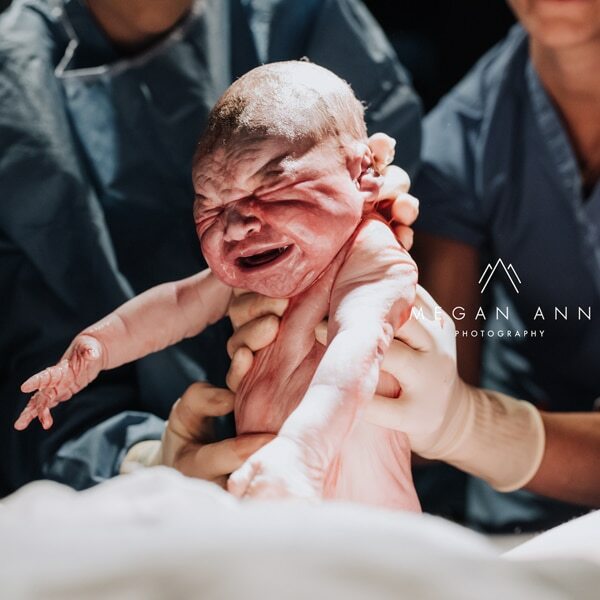 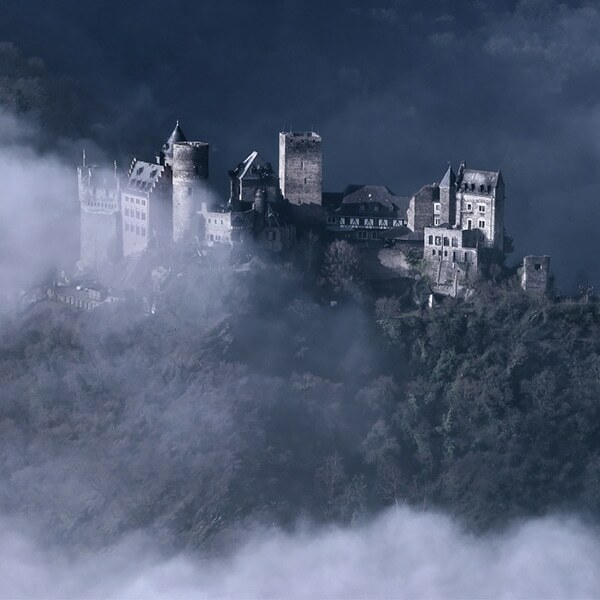 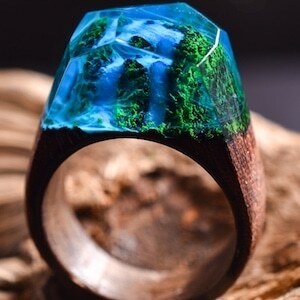 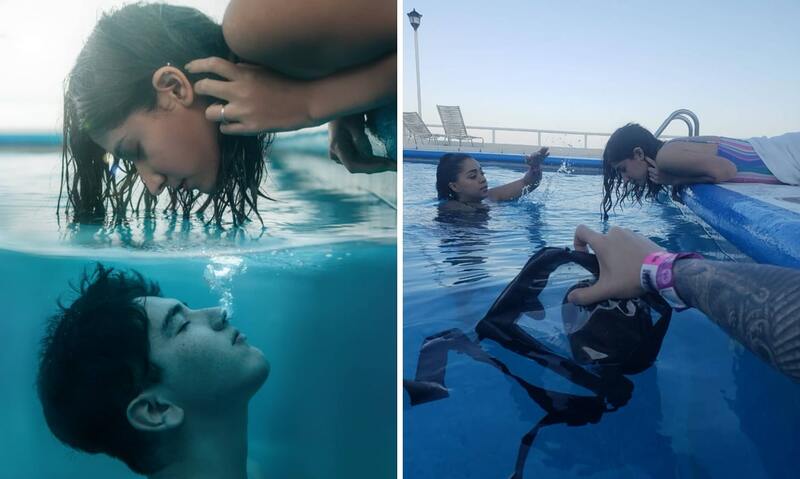 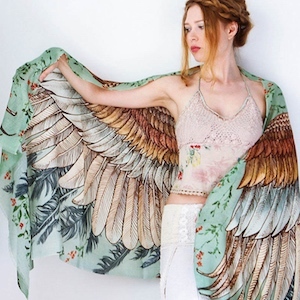 Like this haunting photo series?